Blinded by the white? White represents light in contrast of darkness and has always been placed high upon the shelf of innocence, perfection, cleanliness and a new beginnings. 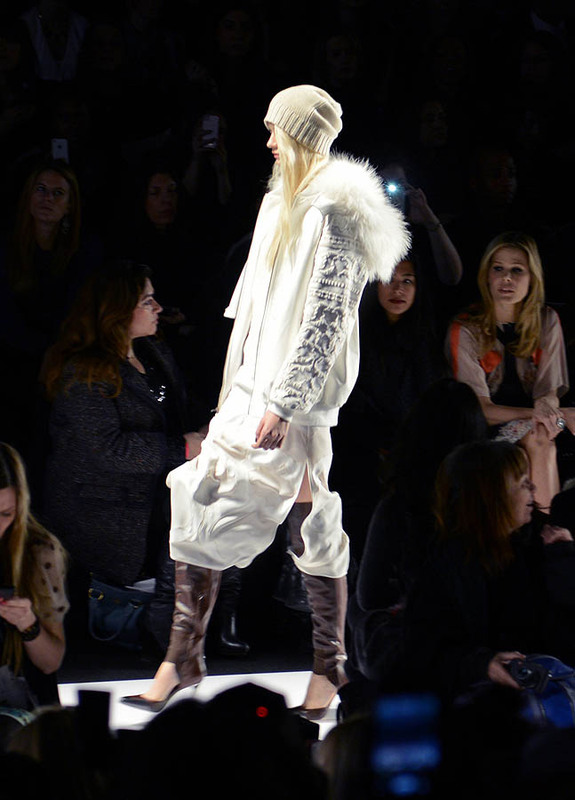 Without Malice this pure colorless shade takes to the runways of the world. 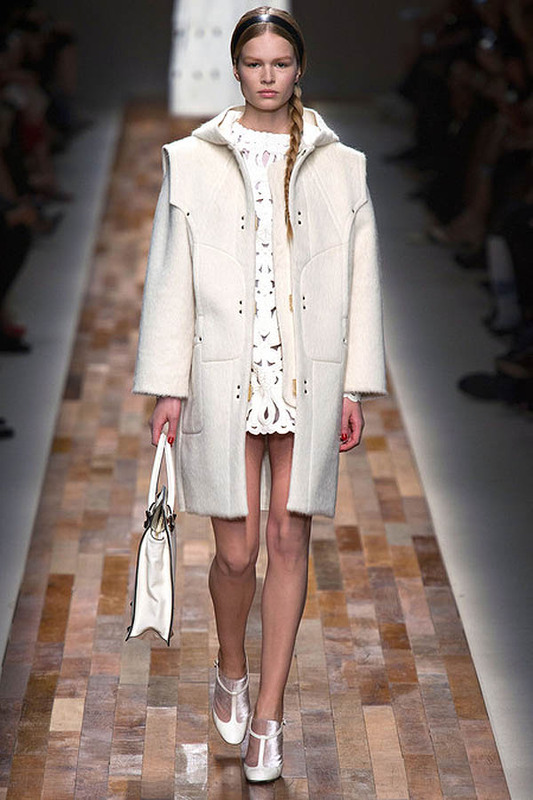 Designers such as Valentino, 1 Più 1 Uguale 3, DKNY, Alexa Chung, Balenciaga, Viktor Rolf, Chanel and many others saw the white light this season. The white after labor day rule has been over turned. Valentino offered up a prim and proper showing. With a school girl’s charm and a raging battle between good and evil the collection is shown to the world. The duo drew inspiration from old paintings of women from eras of the past. Piccioli stated “We wanted to catch the same spirit of private sensuality,” he explained, “something very spiritual and poetic—women as new Madonnas.” Strutting down the runway was little black dresses with white embroidered peter pan collars, white capes, and models with side swept braids complementing black headbands. Elegant evening gowns flowed down the brick looking runway, cut away white dresses with oversized ivory coats stole my fashionable soul. In Tokyo designer Tomhiro Ozawa of 1 Più 1 Uguale 3 presented a edgier tougher street fighting inspired collection. The first look that took to the stage was a crisp pair of white pants paired with a blue leather biker jacket, slicked back hair and what appears to be a cigeratte dangling from the models lips. It was a show filled with tough edgy street/military meets bad boy/girl vibe with a collision of worlds. I must say I rather enjoyed it. 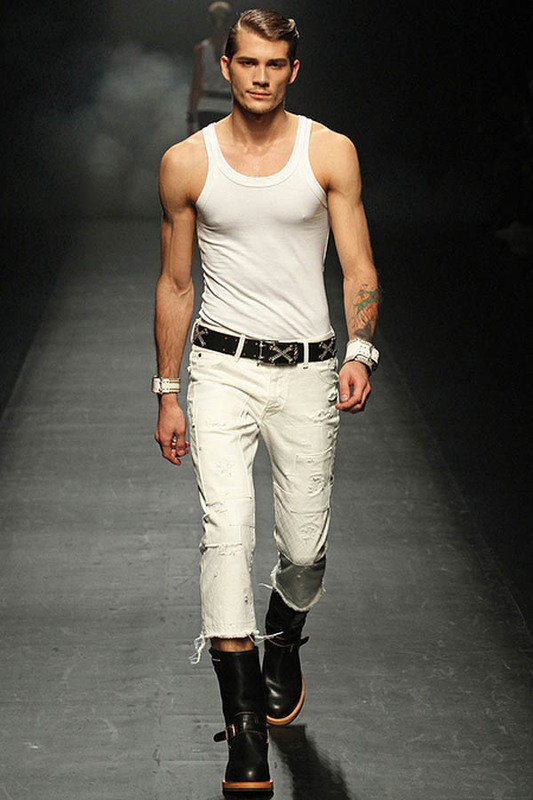 Male models with solid white jean coats, jean pants embellished with hardware, white tank tops and capris paired with black boots shamelessly strolled the runway. Female models with white tank tops with a low slung black belts and black leggings, or a washed out denim outfits swaggered down the runway with attitude. Tomhiro has caught my attention in the fashion world and I am interested to see what he will show next. Become your own white knight or white queen in this fashionable world and give white a try. Don’t be afraid of this crisp clean color and if you are afraid, start with an off white color. Ivory is a good place to begin paired with black. Then take it to the next level when you’re comfortable. I have armed you with how to do classy and edgy. So choose your fashion weapon of choice or pick both and show the world your style.